Dutch interest in the Americas began in 1602, when the Dutch government issued a charter to the Dutch East India Company to discover a new route to the Indies, as well as to exploit any unclaimed territory they came across. The Dutch already had a few forts and settlements on the Essequibo River in Guyana from the 1590s, but North America offered much greater scope for exploration and exploitation. The first steps towards achieving this were taken in 1609, when English explorer, Henry Hudson, claimed parts of modern day Canada and the United States during his quest to find the north-west passage, and he sailed up the river which is named after him. In 1614 the Dutch government took a more radical approach to colonisation, freeing up the process of claiming territories and exploiting resources by issuing their General Charter for Those who Discover Any New Passages, Havens, Countries, or Places. In the same year, Adriaen Block led an expedition into the lower Hudson, with Block Island being named after him. Upon his return, he was the first person to use the name 'New Netherlands' on a map of the Americas, laying claim on the Native North American territory between the English colony of Virginia and the French Quebec colony. The Dutch government granted him exclusive trading rights and the earliest trading missions were set up in the new colony. The first settlement, set up in 1615, was at Fort Nassau, located on Castle Island in the Hudson River. Its primary trade was fur, dealing with the Lenape people as part of a trade race that would eventually generate the Beaver Wars (see 1640, below). Fort Orange was founded in 1624 to replace Fort Nassau which had to be abandoned around 1618 due to flooding. However, the patroon (essentially a Dutch lord of the manor) of Rensselaerswyck and the director-general of the Dutch colony of New Netherland fell out over the fort's jurisdiction so it and its surrounding community became independent, laying the foundations for the future city of Albany. Within sixty years all of the colonial territories had been lost to the English. The Dutch had not been able to pump in a level of resources to be able to match the expansion and strength of the British Colonies, and had probably damaged their own cause with a bitter war against the local natives. In the end, amidst a spate of native-on-native wars that were being manipulated by the British, Dutch, and French colonies, the English fleet took New Amsterdam. Dutch settlers did not stop entering North America, but from now on they would have to integrate into a British colonial structure. The English explorer, Henry Hudson has been employed by the Dutch to search for the north-west passage. Instead he supplies the second 'official' point of contact with the Lenape when he explores Delaware Bay. He soon realises this is a dead-end and continues north along the New Jersey coastline until he reaches the mouth of the Hudson River in September. He soon arrives in Mahican territory where he encounters Mahican villages just below Albany (a little south of the line of modern Vermont's southern border). The Mahican are not only friendly but eager to trade. Hudson exhausts his trade goods and returns to the Netherlands with a cargo of valuable furs which immediately attracts Dutch merchants to the area. The first Dutch fur traders arrive on the Hudson River (named after Henry Hudson) to trade with the Mahican. Besides exposing them to European epidemics, the fur trade destabilises the region and, rather than prosperity, it brings to the Mahican death and destruction. At first, the Dutch traders come only in the summer, load up their ships with fur, and then sail back to Europe. After years of being victimised by European slave raids, the Lenape on the New Jersey coast are now unfriendly. Before entering the Hudson River in 1611, Henry Hudson anchors for a short time off Sandy Hook where he has a hostile encounter with the Navasink (of the Unami Delaware). However, Hudson presses on and enters the river, stopping near the northern end of Manhattan Island. A fog descends and when it clears the crew suddenly see a group of Wappinger canoes approaching, and the nervous sailors apparently fire first. The response is a barrage of arrows which kills one crewmember and wounds two others. Hudson starts home in October. Passing the lower river, he has another skirmish with the Wappinger before reaching the open sea and returning to Europe. Dutch traders visit the Hudson River the following year, and by 1613 the fur trade on the Hudson River has grown so lucrative that it becomes organised. The United Netherlands Company, a consortium of thirteen Dutch merchants, is granted a four-year charter by the staten generaal. Ignoring the Wappinger and Delaware at the mouth of the Hudson, they concentrate on the Mahican and Mohawk upstream, deciding to establish a permanent trading post there. First, though, they have to arrange a truce to end the fighting which has erupted between the Mahican and Mohawk. Once the Mahican-Mohawk truce has been put in place, the Dutch build Fort Nassau on Castle Island in 1614, just south of modern Albany. This is mainly intended for fur trading, and initially with the Delaware on the lower Delaware River and Delaware Bay. Also in 1614, the Dutch found a commercial trading post on the eastern coast of North America and name it New Amsterdam (it had originally been named Nouvelle-Angoulême by Giovanni da Verrazzano, when he had reached the region for France in 1524, in the first tenuous steps towards establishing New France). Just opposite a Mahican village, Fort Nassau is not easy for the Mohawk to visit, but it is also inconvenient for the Dutch. Prone to flooding, it is abandoned at the outbreak of another Mahican-Mohawk war in 1617. The Dutch traders are inclined to favour the Mahican in these conflicts, but they have also ingratiated themselves with the Mohawk by arming them against the Munsee and Susquehannock during 1615. This gives the Dutch enough influence to allow them to negotiate another truce between the Mohawk and Mahican in 1618. A new Fort Nassau is built on higher ground near its former location. The Dutch West India Company is founded to deal with trade monopolies in the Americas and West Africa. In 1623 it establishes the Province of New Netherland, and settlers begin to arrive from the Netherlands, the Spanish Netherlands (modern Belgium) and areas of Germany. In 1624, the first director-general is appointed by the West India Company to govern the colony; an explorer and fur trader who has been instrumental in building up the colony. By this time it seems likely that the first Dutch settlers have also entered Long Island, the western portion of which is claimed by New Netherland as Lange Eylant (see feature link). First director-general appointed in May. Handicapped by their inland location, the Iroquois still have to contend with the powerful Mahican confederacy in order to trade with New Amsterdam, and it takes four years of war between 1624-1628 before the Mohawk emerge as the pre-eminent trading partner of the Dutch in the Hudson Valley. The Susquehannock, however, have an easier time against the numerous - but peaceful and disorganised - Delaware tribes who trade with the Dutch along the lower Delaware. Attacking them in 1626, by 1630 the Susquehannock force many of them either south into Delaware or across the river into New Jersey. The Dutch accept the outcome, but when they begin to trade with the Susquehannock, they are pleased to discover that the Susquehannock (skilled hunters and trappers) have more (and better) furs than the Delaware. Laid the foundations of the later New York. Generally unpopular. Later founder of New Sweden (1638). It is generally thought that it is Dutch Director-General Peter Minuit who purchases Manhattan Island from the Lenape natives, although it could be his predecessor, as William Verhuist reports the purchase upon his return to the Netherlands. Construction of Fort New Amsterdam begins and, in the same year, a second fort with the name Nassau is constructed on the River Delaware (in modern New Jersey). The first indication of trouble to come between settlers and Native American occurs shortly after the Dutch purchase a small tract on Delaware Bay from the Unalachtigo in 1629 and a second parcel at Cape May (in what is now south-eastern New Jersey) in 1631 - the beginnings of New Netherland's spread outwards from Manhattan. A small settlement (Swanendael) is started at Cape May in 1631 but, during an argument, a Dutch colonist kills a Lenape sachem, and the Sickoneysinck retaliate by killing all of the thirty-two Dutch colonists. The Dutch make no further attempts to colonize the lower Delaware River until after they have captured New Sweden in 1655. With the way having been cleared by the construction of the fort, Dutch settlers move into the Appalachian Mountains in what later becomes the US states of Pennsylvania and Delaware. Purchased the domain of Rensselaerswyck in 1630. Lost the Connecticut territory to the British Colonies. The British Colonies territory of Connecticut is founded in Dutch-owned lands, effectively removing them from Dutch control. 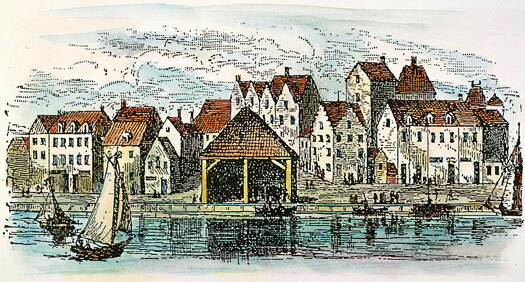 Within three years, English settlers in Newtown (now Cambridge, Massachusetts) on the north bank of the Little River and they quickly out-compete their Dutch neighbours in terms of trading. The Swedish colony of New Sweden is formed to the south-west of New Amsterdam, on territory previously claimed by the Dutch. Led by former Dutch director-general Peter Minuit, they settle land on the lower Delaware (claimed by the Dutch) and build Fort Christina. The land is claimed to have been purchased from the local Delaware and Susquehannock, although they counter the claim with accusations of land theft. Arrived in 1639. Triggered 'Kieft's War'. Dismissed from office. The number of Dutch colonists in New Netherland increases, and settlements spread to the Bronx and across the Hudson to the Hackensack Valley (named for the Hackensack tribe) and Staten Island. The Dutch are required by law to purchase the lands which they occupy, but it is common for sales to involve brandy and fraud. Even when transactions are conducted honestly, problems arise from differing native and European concepts of land ownership. 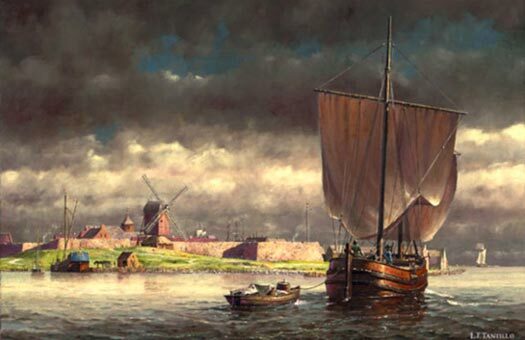 A Dutchman - David De Vries - purchases land on Staten Island from the Raritan believing, in the European custom, that he has obtained exclusive rights to its use. However, the Raritan believe they have only agreed to share the land. In any event, the Raritan do not think the sale has anything to do with their right to hunt the animals that live there, including those pigs that the Dutch farmers are raising. This also means that they roam freely in the woods, which often results in their invading the unfenced native corn fields. The Dutch farmers demand to be compensated for their losses. To the Raritan, the idea of someone owning animals is ridiculous. This is the forerunner of the 'Pig War' that develops in 1642. Also in 1639, a new director-general arrives at New Amsterdam - Governor Kieft - who chooses to deal with the neighbouring tribes through intimidation rather than negotiation. One of his first actions is to send an armed sloop to the Tappan villages to demand a tribute of corn and wampum. The Tappan have always been peaceful and have even sold some of their land to the Dutch. They reluctantly pay but cannot believe that the Dutch have treated them this way. In July, several pigs disappear from the De Vries plantation on Staten Island. The obvious conclusion is that the Raritan are responsible, but as it turns out, the culprits are Dutch. Governor Kieft chooses to deal with this 'major crisis' with a show of military force. In September, he sends a hundred men to Staten Island to punish the Raritan for the theft. Several Raritan are killed; one of their sachems taken hostage, and the corpse of another is mutilated. Meanwhile, English traders try to lure the Mohawk away from the Dutch with offers of firearms. To counter this, the Dutch reverse their previous policy and begin selling large guns and ammunition to the Mohawk and Mahican to whatever amount they want. Not only does this dramatically escalate the violence in the Beaver Wars (otherwise known as the Iroquois Wars) in the St Lawrence Valley and Great Lakes, but it upsets the balance of power along the lower Hudson. 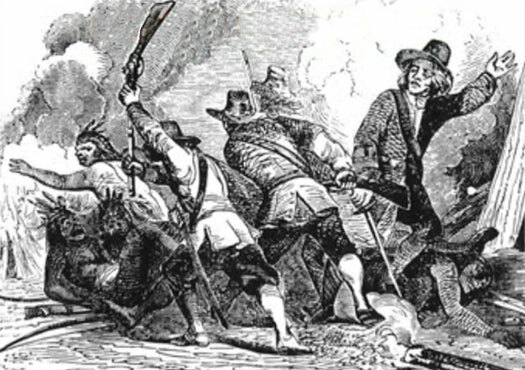 The Raritan retaliate in the 'Pig War' by burning De Vries' plantation and killing four of his field-hands. Kieft responds by ordering the extermination of the Raritan and offers a bounty of ten fathoms of wampum for each Raritan head brought to him at Fort Amsterdam. Only a few 'Metoac' warriors from Long Island 'take up the hatchet' against the Raritan, and the people themselves retreat westwards into New Jersey. Kieft's generous offer nets him only one head. However, other problems arise. The 'Whiskey War' is triggered later in the year, also in New Jersey. 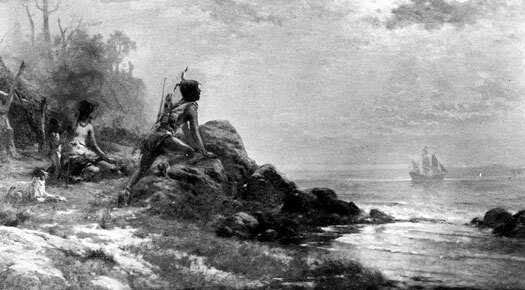 The Hackensack tribe are alienated when the son of one of their sachems is made drunk and robbed. The sachem's son retaliates by killing a Dutchman. Kieft makes his usual demand for the surrender of the killer and receives the usual response - the warrior has fled to another tribe. The Hackensack, however, are ready to resolve things in the traditional manner with a payment of wampum to 'cover the dead'. Unfortunately, their sachems refuse to visit Fort Amsterdam to make arrangements because they are certain that the madman Kieft will put them in his jail. A Wecquaesgeek (Wappinger) warrior takes revenge for the earlier murder of his uncle by the Dutch by killing a Dutchman. Kieft demands the Wecquaesgeek turn the murderer over to him for punishment and, when refused, sends a punitive expedition to destroy their village. Fortunately, his men get lost en route, but the Wecquaesgeek learn of their narrow escape and make peace. Meanwhile, the murderer has found refuge with another tribe, so the frustrated Kieft never gets his hands on him. 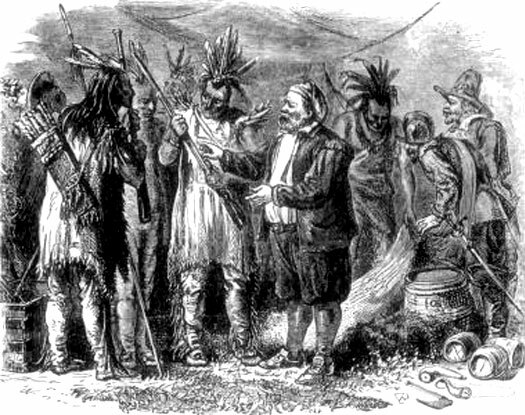 Governor Kieft believes that the Narragansett sachem, Miantonomo from Rhode Island, favours all-out war with the colonists, and is canvassing support for an uprising from tribes in the region, but in fact the sachem is soliciting support for a war with the Mohegan in Connecticut, He arrives with a hundred warriors and visits the 'Metoac' tribes on Long Island and the Wappinger and Mahican along the Hudson to recruit allies for his intended war. Such a war should have been of little concern to the colonists, but Governor Kieft's relationship with the hinterland tribes is fraught with suspicion. Meanwhile, Raritan and Wecquaesgeek sachems try to restore peace with the Dutch. For obvious reasons, the Dutch restrict the sale of firearms to the tribes near their settlements on the lower Hudson. The Munsee cannot obtain guns from New Sweden, but the Wappinger are ill-prepared to resist the Mahican. In the winter of 1642-1643, eighty heavily-armed Mahican warriors come to the Wecquaesgeek villages demanding tribute. The Wecquaesgeek refuse, and in the melee which follows, seventeen are killed and many of their women and children captured. To escape the Mahican, the Wecquaesgeek flee south to what they think is the protection of the New Netherland settlements. After a two-week stay on Manhattan, they move across the Hudson to the Hackensack villages near Pavonia (Jersey City) and Corlear's Hook. Due to their recent confrontations with the Dutch, the Wecquaesgeek are not especially friendly, and there are incidents. At this point Kieft ignores the advice of his council and decides to exterminate the Wecquaesgeek to set an example to the other 'Wilden' (wild men). At a time in which basic picket fences denote plots and residences for New Amsterdam, Kieft's attempts to tax and then drive out the Native Americans have led to the Wappinger War, or 'Kieft's War', of 1643-1645. On 25 February 1643 the Dutch make a surprise night attack on the sleeping Wecquaesgeek villages, killing eighty at Pavonia and another thirty at Corlear's Hook. Dutch soldiers reportedly bring back the heads of their victims to Fort Amsterdam and play football with them. 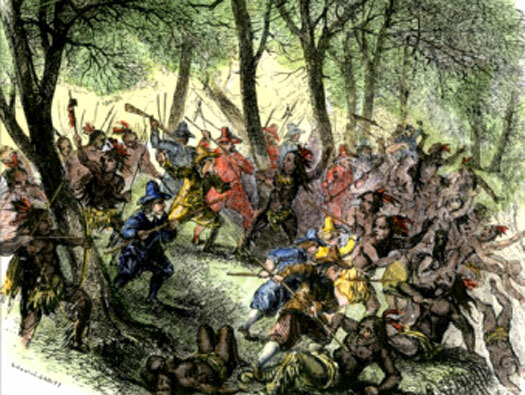 As the news of the massacre spreads, the Hackensack and Tappan join the other Wappinger tribes in attacks against the outlying Dutch farms. The Dutch are driven inside Fort Amsterdam and, preparing for a possible siege, Kieft adds fuel to the fire by confiscating corn from the 'Metoac' on Long Island, killing three Canarsee in the process. The war spreads to include warriors from at least twenty tribes: the Hackensack, Haverstraw, Navasink, Raritan, and Tappan of the Unami (and possibly some of the Munsee) west of the Hudson; the Kitchawank, Nochpeem, Sintsink, Siwanoy, Tankiteke, Wappinger, and Wecquaesgeek from east of the Hudson; and also the Canarsee, Manhattan, Massapequa, Matinecock, Merrick, Rockaway, and Secatoag from the 'Metoac' on Long Island. With only 250 men against 1,500 warriors, the Dutch are in danger of being overwhelmed. However, the Mohawk and Mahican remain loyal, and Kieft is able to sign a treaty of friendship and trade with them at Fort Orange. The Mohawk and Mahican do not intervene in the fighting, but the very possibility that they might is enough to keep tribes from joining the Wappinger. Between 1643-1664, Munsee and Wappinger arrive after their wars with the Dutch (the Wappinger in 1643-1645, and the Munsee Esopus in 1659-1664), followed by the Assateague and Wicomiss from the eastern shore of Chesapeake Bay in 1669. Kieft offers 25,000 guilders to the English colonists in Connecticut for 150 men to help put down the uprising. Two companies are formed under the leadership of John Underhill and they join the fight in 1644. The first combined Dutch-English expedition is sent against the Raritan on Staten Island, but the Raritan abandon their villages and flee into northern New Jersey. The Tappan and Hackensack prove equally difficult to corner, but the Wappinger and 'Metoac' have nowhere to retreat and are badly mauled. Before a peace is signed at Fort Orange in August 1645, more than 1,600 Wappinger and their allies are killed. Under the terms of the treaty, the Wappinger and 'Metoac' become subject to the Mohawk and Mahican and are required to pay an annual tribute in wampum. This effectively gives the Mohawk and Mahican control of the wampum trade of western Long Island and the lower Hudson. Kieft is dismissed and summoned back home to answer for his part in the war. The ship carrying him sinks off the English coast. During this period the English of Maryland have ceased trading with the Susquehannock thanks to continued disagreements about territorial holdings, but in 1645 the Susquehannock end their hostilities with Maryland and sign a treaty that cedes their claims in Maryland between the Choptank and Patuxent rivers. The Susquehannock hardly notice the brief interruption of trade with the English because the settlers of New Sweden have more than made up the difference. The Susquehannock are also able to continue to trade with New Netherland by using the portages between the Susquehanna, Delaware, and Hudson rivers to New Amsterdam. Last Dutch governor. Colony conquered in 1664. 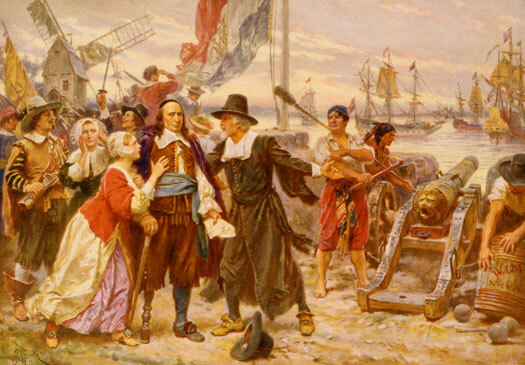 During the years following the various conflicts of this decade, Dutch immigration increases dramatically and swells the population of New Netherland from 2,000 in 1648 to more than 10,000 in 1660. As the settlement swallows more native land, anger and bitterness continue to smoulder. This is especially true with the Lenape and Munsee to the west of the Hudson River after the Dutch, without bothering to consult them, purchase some Lenape land from the Susquehannock in 1651. In 1649 the Raritan sachems form around the treaty table to agree a peace, but in either the same year or the next, 1650, Preuwamakan, the oldest and most influential of the Esopus (Munsee) sachems is murdered by the troops of Dutch Governor Peter Stuyvesant. He meets the Esopus chiefs at Wiltwijck and concludes a general peace on 15 July 1650. War breaks out along the upper Susquehanna River, between the Susquehannock and the Mohawk. Although New Sweden supplies them with arms, the Susquehannock are relatively few in number and, as the war drags on for five years, they are forced to call upon their Munsee and Lenape allies. Support for the Mohawk from New Netherland in this conflict adds to the tension with the Lenape and Munsee along the lower Hudson. War and epidemic via the advent of smallpox in 1654 combine to cause a rapid drop in the Lenape population. Peter Stuyvesant uses African slaves and other workers to build a stronger timber and earth palisade along what later becomes Wall Street. The palisade is designed to keep out Native Americans and settlers in the British Colonies of New England. The Dutch fort of Casimir is captured by the Swedes. In retaliation, the Dutch bring an army down from New Netherland (roughly 140 kilometres to the north-east). In 1655, New Sweden's main settlement at Fort Christina is captured, which also forces the surrender of the Munsee and Susquehannock in their war with the Mohawk, as they can no longer access a supply of arms - the equally exhausted Mohawk readily agree. Swedish attempts at colonising the New World have been brought to an end. The colony is absorbed into New Netherland, although the settlers are allowed a certain degree of self-government. Also in 1655, relations with the Wappinger and 'Metoac' are strained. A Dutch farmer shoots and kills a Wappinger woman whom he catches stealing a peach from one of the trees in his garden. Two hundred Wappinger warriors suddenly arrive on Manhattan Island to kill the farmer and enter into a fight with Dutch militia. After taking revenge, they cross to the western side of the Hudson and burn the Dutch settlements there. Before the 'Peach War' ends, fifty Dutch are dead. However, the Wappinger are not always innocent victims. After 1645, the Mahican have been using them to collect tribute from the 'Metoac'. Any failure to pay results in Wappinger raids on the 'Metoac' villages which the Dutch make no effort to prevent. After several Dutch are killed in attacks in 1657, Governor Peter Stuyvesant arrives with troops from New Amsterdam and begins construction of a fort. At a conference, the Esopus attempt to blame the Munsee Minisink for the attacks, but Stuyvesant refuses to accept this and issues a humiliating challenge to the Esopus sachems to fight him right there if they want a war. His offer to purchase the disputed lands only increases the tension, and the meeting ends on a hostile note. Stuyvesant departs, but he leaves fifty soldiers to garrison the fort. In the following year, the situation worsens with the commencement of twenty years of death and destruction for the Lenape. After the murder of a Jesuit priest, war resumes along the St Lawrence between New France and Iroquois. At the same time, the Western Iroquois (Cayuga, Onondaga, and Seneca) attack the Susquehannock which, of course, draws the Munsee and Lenape into the fighting as Susquehannock allies. Meanwhile, the Mahican have ended their alliance with the Mohawk (in 1655) and have gone over to the side of their enemies in western New England, this being a French-inspired alliance of the Pennacook, Pocumtuc, and Sokoki (western Abenaki). Forced to fight this many wars, the Iroquois come to the Dutch and demand help. The Dutch promise arms and, in one of their few positive accomplishments in the year, convince the Mahican to desert their New England allies and make peace with the Mohawk. The 'Metoac' have grown tired of their situation and have decide to correct it by killing all of the Dutch on Long Island. However, the English colonists on the island warn the Dutch, which prevents a major uprising. Stuyvesant responds with troops but, after promising to halt the Wappinger raids, is still forced to ransom fifty Dutch colonists who are being held by the 'Metoac'. In September, a group of Esopus who have been hired by a Dutch farmer to husk his corn decide to spend their wages on brandy. They become drunk and obnoxious but are a nuisance rather than a danger. However, a group of Dutch vigilantes kill them, which starts the First Esopus War (1659-60). The Esopus attack the Dutch settlements in the Esopus Valley, prisoners are burned alive, and the colonists besieged for three long weeks before Stuyvesant (delayed by hostilities with the 'Metoac' on Long Island) arrives with two hundred men. The Esopus retreat west into the mountains but continue to raid. After the failure of the Mahican and Mohawk to arrange a truce, the Dutch launch an offensive in the spring of 1660. They destroy the Esopus fort near Wiltmeet in March, followed by other battles in April and May. Esopus prisoners are sold as slaves to the sugar plantations on Curacao. The Hackensack make another attempt to mediate in June and, threatened with war by the Mahican and Mohawk, the Esopus (already fighting the Seneca) finally agree to parley with the Dutch. By now many settlers are entering the colony from England and Protestant areas of France, only too eager to escape persecution from Louis XIV. Louis DuBois arrives in New Netherland with one such a group of French Huguenots, and they initially settle in Wiltwyck and Nieuw Dorp. The Esopus attack settlements in New Netherland in June 1663 (this being the Second Esopus War or rebellion). Twenty-four are killed and forty-five captives are taken at Wiltwyck. Governor Stuyvesant sends reinforcements, including forty-six Massapequa warriors from Long Island. The Esopus retreat into the mountains again and continue to raid the Dutch farms in the valley. An expedition under Martin Creiger is sent after them but produces little. However, Creiger's second effort inflicts heavy casualties. Stuyvesant orders the taking of Esopus children as hostages to force a peace, but the Esopus retreat even deeper into Minisink (Munsee) country, and a third Dutch expedition in October is unable to reach them. A Wappinger sachem manages to arrange a prisoner exchange in November, but the fighting continues nonetheless. In spring 1664, Stuyvesant receives orders to exterminate the Esopus and he calls in the Mohawk. Combining with the Seneca, the Mohawk destroy the Munsee capital at Minisink on the upper Delaware River. Hundreds are killed as other Munsee villages suffer a similar fate. Under attack from all directions, the Esopus make peace with the Dutch in May. As the Iroquois-Susquehannock War rumbles on, alongside a fresh Mohawk-Mahican War, an English fleet attacks and captures New Amsterdam, renaming it and the rest of New Netherland as the 'Province of New York' after the duke of York (later James II) within the British Colonies. By this stage it includes territory belonging to the modern US states of Connecticut, Delaware, Maine, Massachusetts, New Jersey, New York, and Vermont. The capture of New Netherland leads to the Second Anglo-Dutch War the following year, which ends with the Netherlands agreeing to the English ownership of the colony in exchange for Suriname. New Netherland is now an English possession. The region which used to form part of New Netherland is seized by the Dutch during the Third Anglo-Dutch War, but is returned as part of the Treaty of Westminster in 1674. Instead the Dutch concentrate their efforts in the Dutch West Indies. Governor (Sep-Feb) during Dutch occupation. 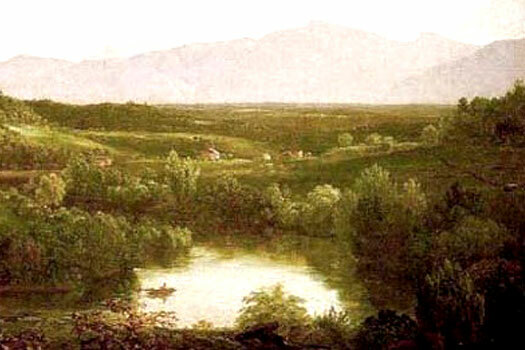 Louis DuBois and his associates purchase 40,000 acres of land from the Esopus natives and found the DuBois colony in which they build a village called New Paltz (now in New York State). The area is still wild enough for the colony to be self-governing for some time, but eventually all the former Dutch lands are drawn under direct English governance within the British Colonies.